If you’re a beginner to epilation or only plan to epilate once in a while, then finding the best cheap epilator can help you save money while still getting a product that gives you a lot of bang for your buck. Buying an affordable epilator doesn’t have to mean that you have to sacrifice quality or features. It just means that you’ll need to be more careful in your selection to find the best budget epilator for the job. Our helpful reviews feature five epilators that are less than $40 each yet pack in a lot of features in their low price points. The following five products are ones we consider to be worthy of the “best budget epilator” title because of the features they pack in and their budget-friendly price points. For under $30, the IMISO Hair Epilator for Women 4 in 1 is a diamond in the rough. 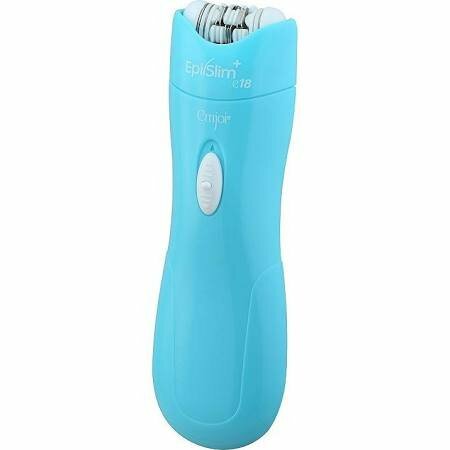 Not only is it an epilator, but it also turns into an electric shaver, callus remover, and a bikini trimmer, packing in a lot of features in one handy tool. The Emjoi eRase e60 is under $40 yet it has the most tweezers – 60! 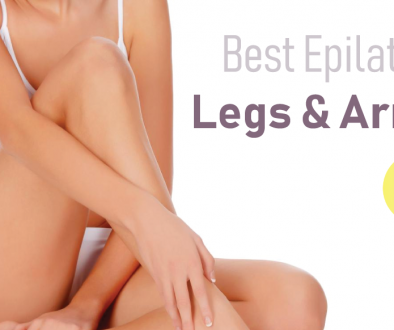 – of the epilators in this guide, which can provide you with quick and reliable hair removal. For epilating the face and other hard-to-reach areas, the Emjoi Epi Slim+ e18 Epilator will likely provide all you need for comfortable hair removal that glides over the contours of your body. 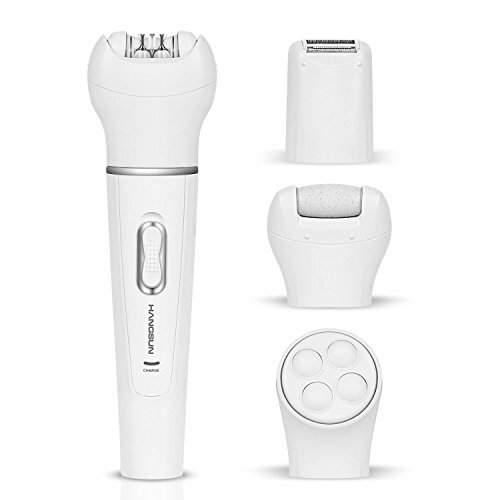 The Hangsun Facial Epilator F410 may be the best epilator for the price if you’re interested in face-only hair removal. The slim body makes it easy to hold and move and the tweezers can pull some of the tiniest hairs. The Vizbrite 4 in 1 uses four independently floating heads to smoothly trace the contours of your skin to closely and comfortably shave legs, underarms and other areas. Finding the best epilator for the money shouldn’t be hard work! Thanks to our reviews below, you’ll have some help finding the best affordable epilator for the job. The IMISO Hair Epilator can undoubtedly save you money because it’s more than just an epilator. 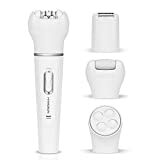 This device also transforms into an electric shaver, bikini trimmer, and callus remover when you use the included attachments. It’s tough to find epilators at this price point that include so many helpful attachments to give you a lot of features for under $30. This epilator may take longer to charge than some other models, but you can also squeeze out about an hour of runtime from it, which is more than the average 30 to 45 minutes. Since it’s cordless, you can use this epilator wherever you need to without having to deal with annoying cords. Several customers who’ve used this epilator agree that, for its price, it’s virtually unbeatable. In fact, some have compared the IMISO to other higher-end epilators they’ve tried and said the results are comparable. Emjoi eRase e60 is a compact, corded epilator that may surprise you to know that it’s under $40. This little gadget is packed with 60 tweezers in its head that you’d usually expect an epilator closer to $100 to have. More tweezers typically make hair removal faster because the epilator can remove more hairs at one time and reduce the amount you’ll need to go over the same area to catch tiny hairs. For this price point, you just can’t beat having 60 tweezers. 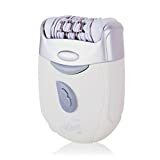 This is also one of our choices for best cheap epilator because it works to reduce the pain you inevitably will feel from epilating by using advanced technology in the head that helps stretch the skin as the epilator moves. Taut skin can make the process more comfortable than using the epilator on sagging skin. 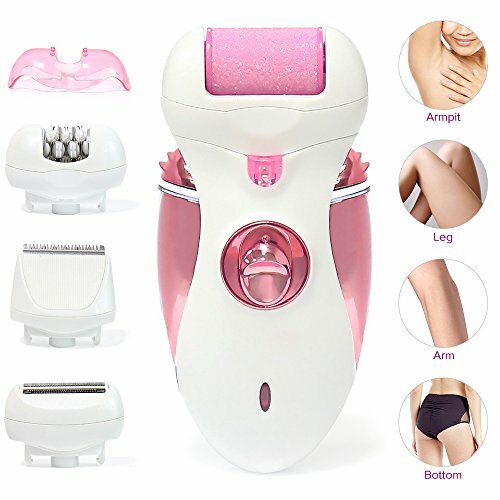 Several customer reviews note that this epilator does an excellent job of removing hairs from sensitive areas, like the underarms and facial area, but that it may leave some irritation bumps behind. The Emjoi Epi Slim+ e18 is the company’s slimmest model made to remove hair from small areas, like the face, bikini area, or underarms. With only 18 tweezers on a small head, the epilator may be able to fit the contours of your body easier than some epilators with broader heads. This epilator doesn’t come with any bells and whistles, which keeps its price point under $40. Still, you’ll benefit from over 500 tweezer actions every second to remove hair as quickly as possible. The Epi Slim+ should grab tiny hairs, too, so you won’t have to keep running it over the same spots and causing your skin unnecessary discomfort. Some customers agree that although this epilator tends to pinch skin more than others they’ve tried, the end result tends to leave little to no irritation on the skin, so even those with sensitive skin might have some luck with it. The Hangsun F410 may be the best cheap epilator for facial hair removal because it packs in four different tools for under $20. With a shaver, callus remover, and massaging head, you’ll get a full facial skin care set without paying nearly as much as you usually would for so many tools. This is a cordless epilator, but it’s important to note that your charge may not last as long as some higher-end models. A full charge typically lasts about 30 minutes with this device, but that should still be enough time to finish removing hair from your face. People who have used the Handsun Facial Epilator F410 tend to agree that the device is one of the simplest to use and they can change the heads with ease. The Vizbrite epilator is under $30 and may be one of the simplest epilators to use, which is good news for beginners. If you’re not sure if epilating is right for you, you might want to start with this model and try it out for a while before splurging on something more expensive. You can use this device on just about any body part and its rotating tweezers remove the smallest hairs quickly for a virtually painless process. You’ll even get an efficiency cap that can reduce the number of tweezers when you need to epilate tight areas, like the neck or bikini area. Remove the head with the press of a button to wash it after every use in warm water. This Vizbrite epilator is one that customers love for its smooth results. 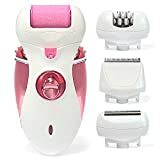 Several users agree that this epilator doesn’t leave many hairs behind, giving them a hair-free look they desired without stubble or bumps from irritation. 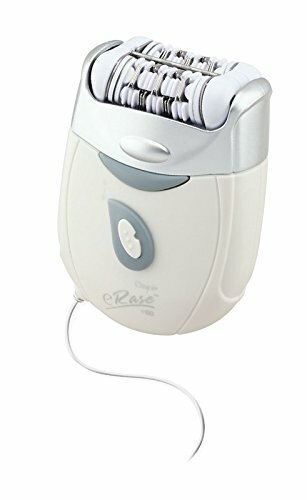 What’s nice too is that it uses four independently floating heads to smoothly trace the contours of your skin to closely and comfortably shave legs, underarms and other areas. When you’re on a budget, finding the best epilator for the money is essential. Fortunately, there are a few sacrifices you can make when it comes to epilators that can save you a lot of money and still get a product that works well. What are the Most Important Features to Look For? The following features are ones you should consider looking for in any epilator if you can afford them because they streamline the hair removal process. 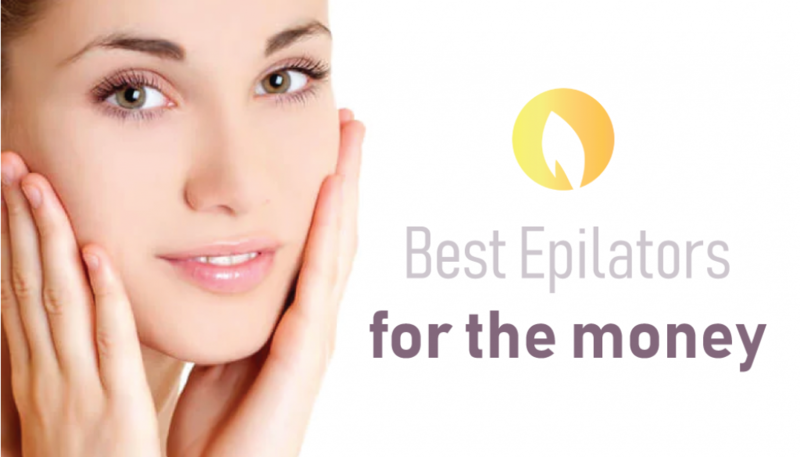 Epilators that can be used as an epilator, massager, and shaver are excellent for people on a budget because they offer you a variety of uses in one money-saving tool. If you’re still planning to shave sometimes instead of epilating, then consider spending a few more dollars to get a multi-use device that you can use for shaving and epilating. A removable epilating head is a necessity that you shouldn’t skip to save money. This feature makes it easier for you to clean your epilator after each use to reduce the risk of bacteria buildup that can make the device unsafe to use on your skin. Most epilators do have removable heads, but some of the cheapest devices don’t, making you sacrifice the ease of cleaning to save a few dollars. Although the following features are nice to have in an epilator, they’re not essential. Consider leaving these behind to save a lot of money on your new epilator. Cordless epilators are handy to have because you don’t have to worry about finding a plug to use them. Their grab-and-go functionality is convenient. Unfortunately, cordless models do tend to be higher in price than corded models with similar features. If having a cordless isn’t a necessity for you, then you can usually save money by sticking with a corded epilator. Many of today’s epilators come with full skin care kits that include a variety of interchangeable heads, like cleaning brushes, various shaver heads, epilating guides, and more. Although these kits can be super beneficial to a full skin care routine, you may also end up paying for tools that you’ll never use. Be sure to look at everything that comes with your epilator and avoid paying more money for a kit with tools you don’t need. For most people, the basics, like an epilating head, shaver attachment, and a cleaning brush, will be enough to remove hair and keep their epilators functioning correctly. If you’re looking for an epilator with the best value, then the IMISO Hair Epilator for Women 4 in 1 may be the best device for you. Although each of the epilators on our list offers excellent features for their prices, this one is like getting four tools for one super low price. Not only that, but you’ll benefit from an epilator that really does its job despite being one of the cheapest on the market. With a full hour of runtime, you should be able to remove hair from your body before you need to set the epilator back on the charger. We hope our in-depth reviews of some of our favorite affordable epilators helps you find the best cheap epilator for you and your needs. When it comes to epilators, saving money doesn’t mean you need to sacrifice features and performance to get an epilator that does what you need it to.